With an appearance similar to traditional celery but much smaller, this plant is most often used for a variety of Asian recipes. Although it may be considered by some to be a vegetable, Chinese Celery is actually a herb that is served like a vegetable. 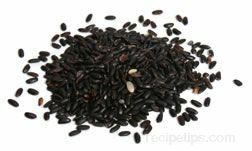 It is not used as a seasoning like other herbs, but instead is most often harvested as an ingredient for use in soups, stews, salads, and stir-fried vegetable dishes. When used in some salads, the Celery is blanched, steam cooked or parboiled and then added to the salad. It is a herb that is seldom eaten raw like common celery and does not taste as bland as the larger celery. The taste of this Asian Celery is much more intense and flavorful. Short in length, Chinese Celery grows from a narrow but firm stalk that has numerous small, parsley-like leaves attached near the top. It is found growing in marshy areas or in warm, humid climates. When selecting, choose bunches with crisp-textured stems that are evenly colored without yellowing or wilting. For storage, place Celery in a refrigerator enclosed in a partially open plastic bag that allows some air to circulate around the stalks and leaves. Consume within 4 to 6 days. 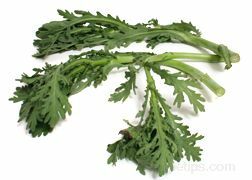 Chinese Celery may also be referred to as Chinese Celery Leaf, Cutting Celery, Hon kun, Heung kun, Kinchay, Smallage, Tango, Tang o, Tong kun, or TangO.